Vubiq Networks has filed its fourth millimeter wave radio frequency identification (RFID) patent application with the U.S. Patent and Trademark Office. The application is entitled System and Method for High-Bit Density Millimeter Wave Chipless RFID and has been assigned the application number 62775479. The patent application defines advanced, high-bit density chipless RFID technology using the company’s polarimetric synthetic aperture radar (SAR) technique that incorporates polarization and phase detection. The technology will provide orders of magnitude higher bit density for RFID tags as compared to “prior art” or other competitive approaches. 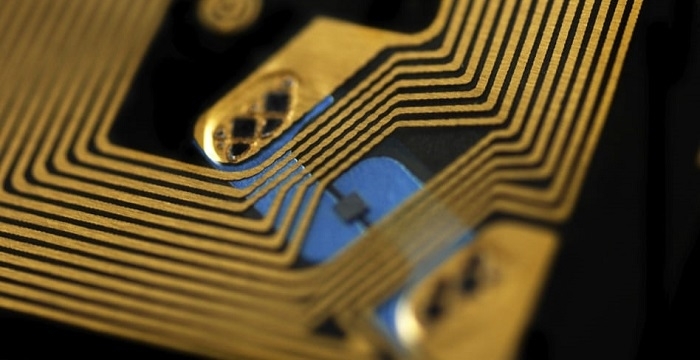 The application, which is the fourth RFID patent and 17th in the overall millimeter wave market by Vubiq, will provide additional worldwide protection for the company’s proprietary RFID technology. The technology lowers costs by enabling the use of low electrical conductivity metals for the antenna elements, avoiding costly silver-based inks. According to the Vubiq’s Founder and CTO, Mike Pettus, they were able to achieve this because they are not relying on spectral signature response, but instead are relying on radar cross-section and antenna re-radiation mechanisms. The comprehensive patent application includes “reduction to practice” by addressing both hardware and software applications. It provides for very high density chip less tag data encoding through the use of innovative geometrical layout of the patch antennas as the tag elements. The technology provides for reduced optimized element spacing, providing very high bit density for chip less RFID. The patent-pending technology not only provides for greater bit density, but also greatly lowers the cost of RFID tags, which is a very important consideration for emerging Internet of Things applications and smart objects.